Find Lake Como homes for sale and homes in Lake Como. Call 732-598-7700 to see the homes in Lake Como. Lake Como is a typical small Jersey Shore town, thus there is a small population that swells enormously in the summer. In 2005, voters in this borough opted to change the name of the town from South Belmar to Lake Como. This town is a small town, as it has only .265 square miles. It borders on Spring Lake. The population was 1.759 people, as per the 2010 Census. Many homes in town were built in the early 1900’s, while newer homes are being built after removing the older homes. Prices for homes can be in the starter price range, however the homes can sell for over $1 Million. In addition, condos are available in this town. Kindergarten through 8th grade students will attend the Belmar school system. And when the sudents begin high school they will attend either Manasquan High School or Asbury Park High School. High school students also have the option of attending one of the seven magnet schools in the Monmouth County Vocational School District. Specialized career training in fields such as medical, science, Bio Technology are offered, as well as other fields. There are many private schools in the area as well. Like many other towns on the Jersey Shore, people love it here because of the location. Train service to New York and points north is available at the station in Belmar. Route 195 is nearby as well as the Garden State Parkway. 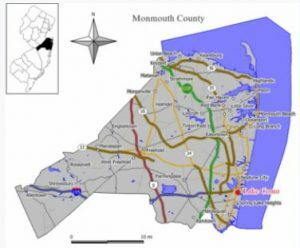 Boating and fishing are nearby, also Monmouth County has several public golf courses available.